As a leader in aircraft management he is at the forefront in the field of commercial aircraft management. 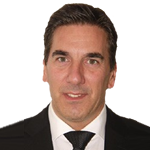 Eros Tavani holds an engineering degree in aircraft engineering and in economics. He offers over 35 years airline and MRO experience focusing on contract management and key account and sales, customer support, maintenance & reliability program, planning and quality. Previously, he was Vice President at Swissair Purchasing Technical Services and Vice President Customer Relations for 4 of the top 10 full-support customers in SR Technics. Here he was responsible for projects such as the overall integration of new full support customers within all business units. For Swissair he established the new business unit “Purchasing Technical Services” in Brussels. He was also responsible for integrating Swissair Planning and Maintenance Philosophy within Sabena Technics. Through his long experience in customer relationship and key account management, Eros Tavani knows customers’ expectations and needs better than anyone in the airline business.